I'm excited to share a very exciting book with you today along with an author interview for Gregory Funaro's newest release, Watch Hollow. This book looks so fun and adorable and even a bit creepy and I'm so excited I get to introduce you to it today. Gregory Funaro is the NY Times best-selling author of Disney-Hyperion's ALISTAIR GRIM'S ODDITORIUM (an Amazon Best Book of the Month for January, 2015) and ALISTAIR GRIM'S ODD AQUATICUM (2016), which received a Kirkus STARRED review. Look for his latest book, WATCH HOLLOW, coming from HarperCollins in February, 2019. Gregory is also a drama professor at East Carolina University. Q: Tell us a little about yourself and your upcoming novel, Watch Hollow. A: I am a drama professor at East Carolina University and started writing children's books nine years ago after the birth of my daughter. I grew up in Rhode Island, so setting Watch Hollow there was a combination of coming home and exploring something new. Watch Hollow is a modern-day, Gothic flavored horror story in which a widower and his two children move into an eerie old house to fix its (unbeknown to them) magical clock. 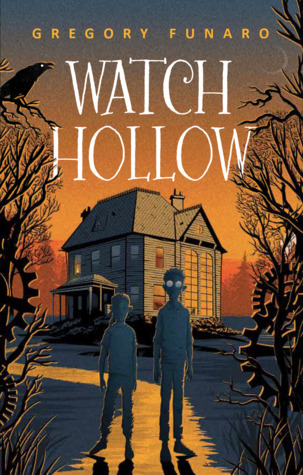 It doesn’t take long, however, for the children to realize that something very strange is going on in Watch Hollow, and they ultimately join forces with a bunch of magical clock animals to defeat a monster who lives in the nearby woods. Q: I see you've written in other genres before, which one is your favorite to write in? A: Children's books, hands down. I've basically stopped maturing since I was twelve, so there you go. 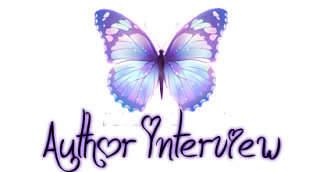 Q: When did you first know that you wanted to become a writer? A: I received an English award in ninth grade for some short stories I'd written. Then in the eleventh grade, I wrote a short horror story that my English teacher, Mr. Scaffardi, thought I'd plagiarized. After my initial terror, of course, I took it as a compliment, and looking back, I see now that those two events really planted the seeds. However, only after a much different career path in theatre, I started writing in my spare time. I began with screenplays in my 20s--and got pretty close with one of them--and then finished my first thriller in my late 30s. It was never sold, but it did land me the agent who sold my other two thrillers. Q: If you could be one character, in any book you've written, whom would you choose and why? Thank you so much Gregory for being here today and sharing a little more about yourself and of course, Watch Hollow that releases this February! Also check out this fun trailer for the book! It is a fun cover! Fun to meet the author. This sounds scary cute and right up my niece's alley. Scary cute is a good description! Lovely interview and that cover screams read me. I am really looking forward to reading MG with th Royals. OhI love the cover is so nice! This would be a fantastic pick for Halloween. The illustrations in the book trailer are gorgeous. Going to put this one on my tbr. I hadn't heard of this one before! It sounds interesting though,and I love the cover! Thanks for stopping by and checking it out! Oh the clock sounds interesting. It does sound fun and interesting doesn't it? I agree and thanks Greg! Fun cover. I love the eerie feel to it and it does sounds like one worth reading. It really does look like it would be so much fun.